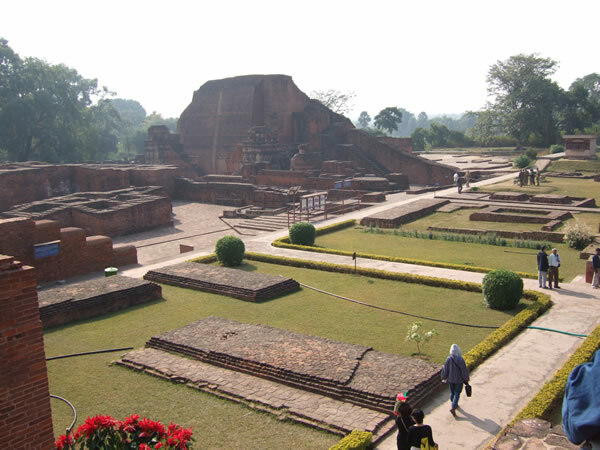 A once great centre of Buddhist learning which had 8,500 students and 1,500 teachers. 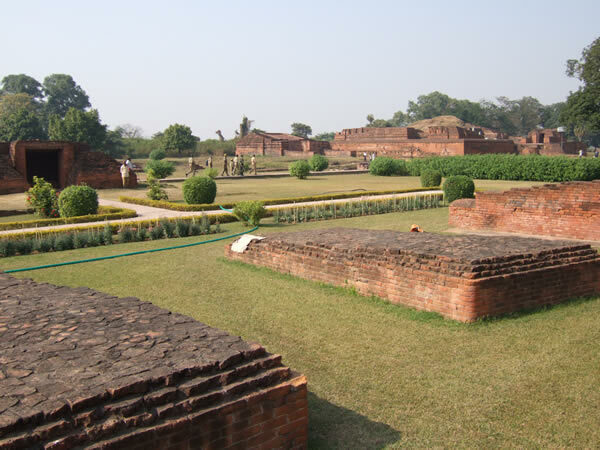 A stupa in the background marking the birthplace of one of the Buddha's senior disciples. 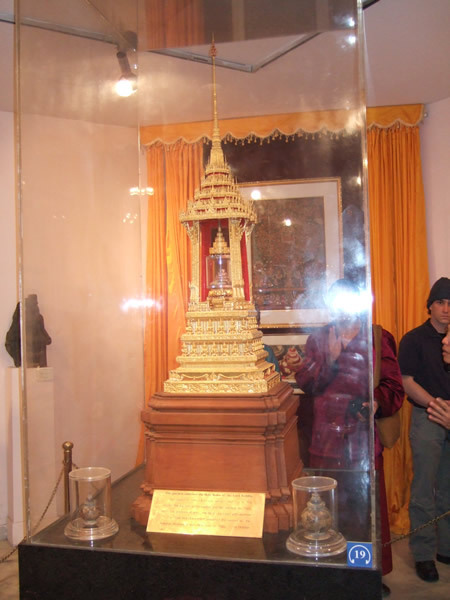 The glass chamber housing the Relics. 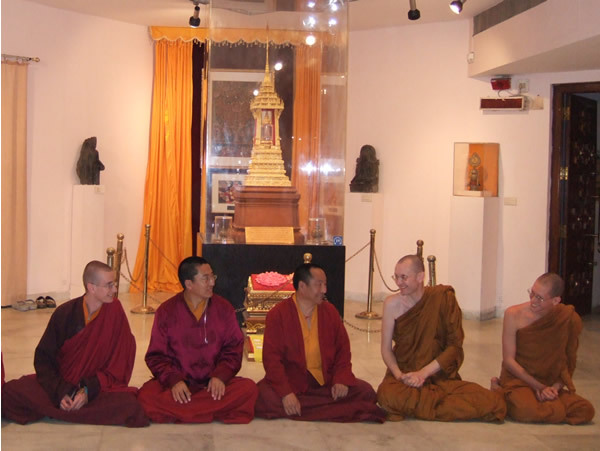 Theravadin and Tibetan monks having a friendly chat. 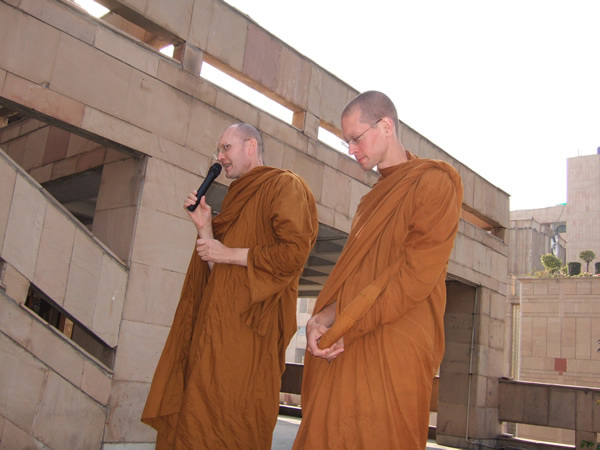 Venerable Karuniko (left) from England, and Venerable Sannamo (right) from Canada, at the conclusion of the Pilgrimage.